Danforth is the premier mechanical contractor in Western New York. 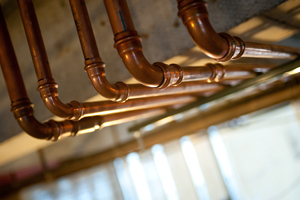 We have the technical knowledge and years of experience in servicing plumbing systems. From leaky faucets and clogged drains to water heater repairs and video pipe inspections, Danforth has what you need for reliable commercial plumbing service. Our Plumbing Team is professionally licensed and insured to provide the absolute best quality plumbing services to our customers. Without plumbing service, your facility is at risk for major backups. This can lead to ruptured pipes, sewage backup, and inconsistent water temperatures. Our Team is experienced in diagnostics and repair services for plumbing systems. With the Danforth Team, you don’t have to worry about temporary fixes to major plumbing problems. We have a commitment to our customers to do the job right the first time to reduce the inconvenience caused by plumbing malfunctions. Service Your Plumbing System with Danforth. Meet with one of our Commercial Plumbing consultants. We’ll outline our process and begin your project estimate. Fill out an Online Estimate and we’ll reach out to you with a Commercial Plumbing proposal drafted to your exact specifications. Get answers about our Commercial Plumbing services and speak with a knowledgeable Commercial Plumbing Expert.